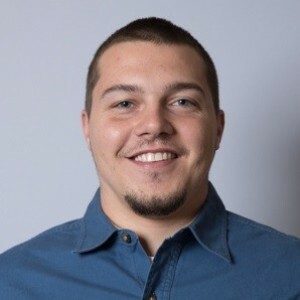 Clayton D has a 5-Star rating and leads the company in total reviews, making this pro a ReviewBuzz Rockstar! Clayton started young & already has 9 years of experience under his belt. He loves hunting, fishing, KU basketball, the Kansas City Royals, & the Oakland Raiders. (what??!!) After his hard work has been completed, the thing that makes it all worthwhile is the smile on the customers face. Clayton and Paul installed a whole house humidifier and did a nice and professional job. 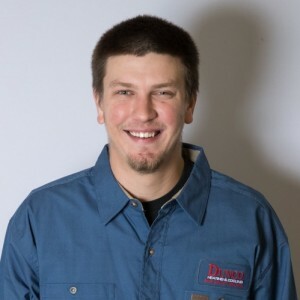 Steve is the person who does our preferred maintenance twice a year on our A/C and furnace and is always great to work with! Dunco has installed two new furnaces w/ central air on both sections of my home in the last two years. The house has a large multilevel addition from the 1970's on the back side of the original 1950's rancher. It was time to replace the old original furnaces which were so old, no one could tell what brand they were anymore. Once I tried central air I wanted to do away w/ window A/C units for good. After going through the bid process each time, I still chose Dunco again. Can't beat their excellent installation! And best price for what I wanted too! Go local! These guys are wonderful! Clayton and Paul installed a new furnace and ac system in our home today. We are very pleased with how the process went. They were right on time and fully explained The operation of the system when completed. They were very professional. We have used Dunco for years and highly recommend!! Paul and Clayton explained to me what they installed and checked to see that everything was working correctly and cleaned up and hauled off all the old AC unit and Furnace and even put down cloths to cover the carpet so they didn't track any dirt in the house. and even removed their shoes at times when entering the upstairs from outside. Was a very professional installation. Jason, Clayton, and Paul all provided excellent field service. Jason came back after the initial visit to help ensure we were comfortable through the weekend while we waited for the new unit to be installed the next week. Clayton and Paul did excellent work installing the new AC and furnace and provided a full walkthrough when they were complete. 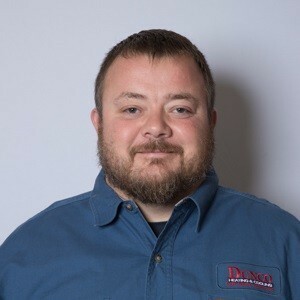 I will definitely use Dunco for any HVAC needs in the future. I have to say that the attention to detail shown by Clayton & Paul for the install of our new outdoor a/c and indoor heating units is impressive. The re-configure of duct work and pvc in the garage is literally a work of art. No wasted space/ good clean lines. The original a/c footing was was replaced with a composite base that looks great. Having removed the concrete slab from the side of the house with no yard damage was really good to see. Clayton took extra time(even though it was way past lunch) to carefully explain in detail how to do this and how to do that. We really appreciate that type of service. Let me add that a good way to gauge the level of service we received from this Dunco team is to simply look next door, where another company recently installed a new outdoor a/c, still sitting on the old, slightly tilted concrete base. Thanks Dunco, Clayton and Paul for exercising an old fashioned strong work ethic. 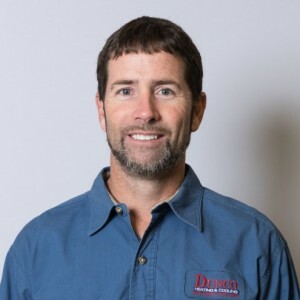 Used Dunco Heating and cooling again to have a new furnace installed, they did my ac a couple of years ago, Tell you why I used them again, they employee the most professional team I have ever seen. Dont have to worry about things being done right. Didnt even get estimates from other companies because they are the ones I knew I wanted to do the work. Clayton and Paul did the work and they were fantastic. 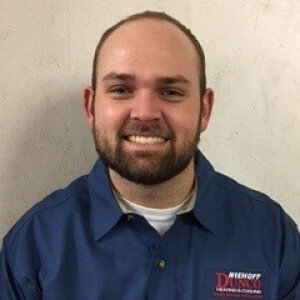 Thank you Dunco for employing top notch people. I want to let you know that Clayton and Paul did great job installing my air conditioner and heater. They were friendly and professional. 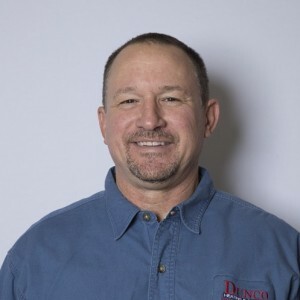 I will definitely recommend Dunco to anyone would need heating and air conditioning services. Thanks for your help. I am very pleased with your guys work today. Very professional young men. Very nice quality. Great job at a great price. Thank you!! Bought a new house with an old air conditioner with bad access. Dunco got my old AC going again and then did a great job replacing my unit and reconfiguring our ductwork to create easy access to the system.